Very alert, with sensible dispostion. more elegant version of her sister. Same heart and work ethic! This girl leads, loads,clips and RIDES. Lightly shown in 2015 in Western Dressage and reining. Always in the ribbons. Right attitude for amatuer, AOTS. Moves from the trail to the arena easily. Truly a versatile, family type morgan. Only full morgan offspring of LittleWood Inside Strait. Kamima is an exceptionally pretty little show Diva. Very business like in the show ring, easy to ride, but not suited to a beginner rider. She likes very clear communication from her rider. Very nice lope, and spins, good transitions, stop is developing. 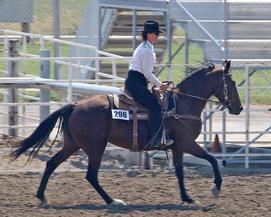 Shown succesfully in Ranch Horse Pleasure division at open shows. Also started on cattle. Could easily go Cutting or Reined Cow Horse as well as Reining and Western Dressage. 14.1h and light framed, although we expect her to fill out as she matures. and a 1/2 brother to the 2014 AMHA Res Ch Snafflebit reiner. 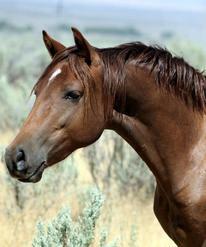 Other young horses available, just not officially for sale yet. Please call and let us know what you are looking for. We continue to have issues with the e-mail. Many private messages are getting hijacked into spam. Please usemorgansat littlewoodhorses.com. I don't dare create an e-mail link, for fear it will happen again. Sorry for the inconvenience.